Aside from performing weight lifting exercises there are only two other things that will be of major importance to you, if your trying to improve strength and overall fitness conditioning. The First would be: 'that's right': your 'Weight lifting Diet' and all It encompasses. Second would be: proper rest and sleep is not a should do; it's imperative for the regeneration of new Muscle growth to occur. Unravelling The Mystery of The Western Diet? It's surprising just how many people learn from magazines and advertised articles or even from friends to arm themselves with diet information. Often guessing at what is right or wrong about their dietary information, as well as what foods should make up a healthy diet ? This is in a lot of instances, about big and small companies trying to make more and more money off of the latest dietary fads. Society in some cases here in the west, has made the word sound like this is a new way to slowly starve yourself, towards a weight loss goal. Nothing could be further from the truth, in simple terms, ‘Diet’; does not mean that at all. The word: only refers to the groups of foods that different cultures of people eat or consume, you generally have different food groups that will make up a diet. This of course vary's from culture to culture. Most of the food groups that grow naturally, whether it’s vegetables, fruit, or naturally raised or caught nutritional sources, are beef, fish, poultry etc., most of these are healthy nutritious dietary sources. If you don't eat meat; approaching eating habits as a vegan, you may have to substitute certain foods for higher protein found in naturally grown foods. Don't miss the most important meal of your day! Your first meal of each training Day is the most important! 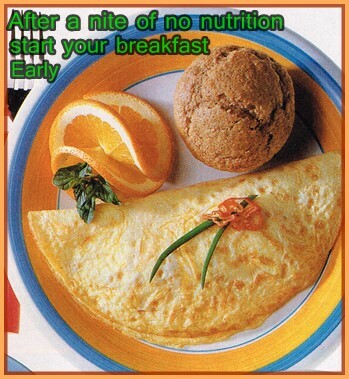 Don't be fooled into thinking its not; that meal is breakfast Bar none! After an entire nights sleep and no nutrition, what do think your body needs? 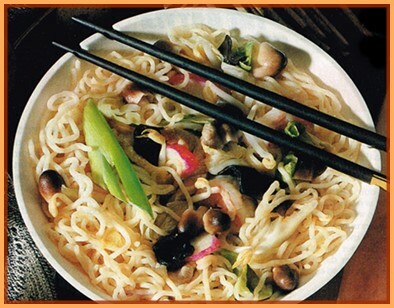 This meal gets missed and sometimes even forgotten entirely. Eating a good balanced breakfast and eating it early 'the earlier the better', no later than 9:00 am. 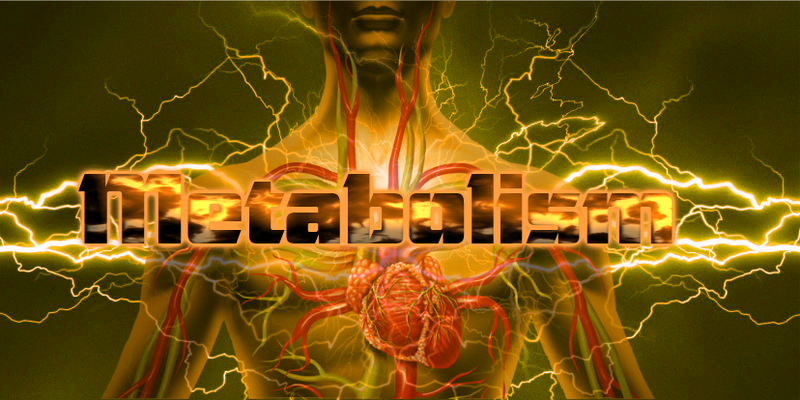 This sets up your bodies metabolism and starts the revving process of your bodies calorie burning furnace. 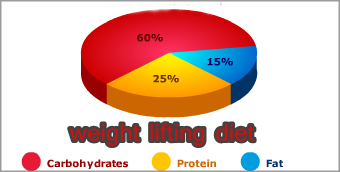 What Makes Up a Good Weight Lifting Diet ? For the most part, the primary nutrients that are found in the total food groups that we consume come from protein. Such as: carbohydrates, fats, including vitamins, minerals, fibre and water. Healthy sources of foods that we consume that make up our daily diet do have the nutrients we need in them. The problem lies in that many food groups don’t carry them all and some of them don't come in ample quantities, especially for some of us that need a solid weight lifting diet. n short: consuming a wide variety of foods in different nutrient quantity should create a well-balanced diet putting the body into in a positive nitrogen balance, giving you a tremendous edge in metabolism speed and training recovery. 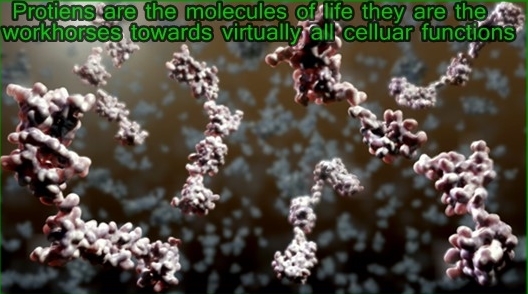 Try to Bear with me as I try to explain: proteins essentially, are molecules larger in nature made up of smaller, what are called: (sub-units). These are peptides; peptides are assembled in a chain and become peptide chains. Peptide chains are made up of smaller units, these are called amino acids. This exact amount of amino acid in each food group is the sequence in each chain that determines each proteins characteristics and determines how your body will use these proteins from each food group. Your body can manufacture or produce 11 non-essential amino's out of the 20. Leaving 9 out of the 20 that are classed as the essential amino acids, meaning: (the body can't produce them on it's own). The other nine sources must come from different dietary sources. Failure to receive and or produce all of these can lead to the depletion of the body’s protein-based tissues such as: muscle, organs and enzymes. Besides proteins ability to build muscle and repair it, protein is also used structurally as a component in red blood cells and antibodies etc. One other interesting fact about protein is: unlike fats and carbohydrates your body does not generally store excess amino acids for later consumption. Protein should be consumed daily for the body to aid from this process. Other sources can also be classified based on their amino acid makeup, animal sources of protein are termed complete. Plant sources, such as: nuts, fruits and veggies on the other hand are not, or are not for the most part and are usually deficient in one or more of the essential amino acids and are so classed as incomplete. Protein For example: should always be introduced in your weight lifting diet in variety. As mentioned: protein that comes from grown food sources are incomplete. So variety is key in protein consumption, deemed essential to complete protein intake from different sources. If you’re a vegan weight lifter, you should probably consume a wider range and variety of protein from plant or grown sources. This helps us obtain all of the your amino's in sufficient quantities to support continued strength and muscle gains in your training. So Where Does This leave Use in Protein Consumption Amounts? The answer lies with body size, age, type and how physically active you are, all become factors. Anaerobic exercise such as weight training, bodybuilding, football, wrestling, etc., short, intense, energy-burst sport professions or lifestyles are all under this anaerobic flag. Should be in the consumption neighbourhood of, 1 g of protein, per pound of lean body mass in males. Protein in your weight lifting diet if your skinny or a hard gainer; could be increased from 1 to 1.5 grams of protein per pound of body weight and an overall caloric increase; or until athletic achievements are made. Then you can reconsider your protein intake by backing-off to one gram of protein per pound of body weight, to maintain size and strength levels. Protein consumption for females - (female weight training). Beef, preferably lean cuts or extra lean ground hamburger. Chicken Brest, turkey, and fish, etc. Dairy... eggs, low-fat cheese/cottage cheese, yogurt and low-fat milk. A few sources from the dairy are not complete, but very close. Peanuts, cashews, almonds, sunflower seeds, etc. Don't discard these sources of incomplete protein, there full of essential fats, nutrients, vitamins and minerals. Again: this varies with opinions and research. Sticking within the parameters of protein consumption from dietary supplement sources has worked for weight lifters and bodybuilders over the last 60 years. But like anything, this is not a question of more is better. Excess protein does place more stress on the liver and the kidneys, forcing these organs to work overtime to filter and excrete the waste generated by protein metabolism. Therefore, athletes usually have to ingest more water to hydrate themselves to help this filtration phase that's put on the body. The average well-conditioned athlete that engages in anaerobic training 3 to 5 times a week can generally process 25 to 30 g of protein every 2 to 3 hours. This is why meals are suggested at these time intervals, to restock protein and complex carbohydrate stores in the body. Man-made protein in the form of a supplement protein shake, usually takes approximately one - two hours from the time of ingestion for the body to process and fully use most of the protein. Part of the reason is: if you’re using a whey isolate protein, the isolate version is quite fine. It goes through the body quickly and metabolizes fast for nutritional recovery of muscle from strenuous workouts. Meaning: as your body finishes the processing and metabolizing of the original protein shake, it now begins the break-down-process of protein consumed from the food ingested after the shake. As I've said: overdosing on protein probably won’t give you the results you want. Staying consistent with 25 to 30 grams every 2 to 4 hours throughout your day and before you go to bed probably will. What Are The Best Times to Drink Protein Shakes? Experiment with your weight lifting diet. As each of us and our fitness lifestyles age and gender all play a part in the quality of our life? Too much protein puts stress on your body and is expensive. Not enough will result in little or almost no muscle and strength gains. I like to have my first protein shake with breakfast. The second shake immediately following my workout. 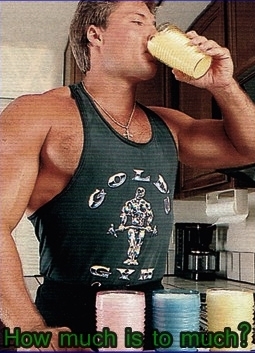 I personally consume two shakes through-out each training day, morning and early evening, as evening is usually when I train. I generally mix (whey isolate) with 8 ounces of water and fruit. The second shake is taken with water/natural fruit. The reason I add the whey isolate to the fruit is: the muscle stores of glycogen have been seriously depleted from the weight training itself. The body will naturally release insulin because of the natural sugars I’ve ingested from the fruit in the shake. The insulin will now transport the protein to where it is needed for tissue repair. These are only guides to give you an idea of timing, amounts and results. I encourage you to listen to your body, be instinctive in your training and dietary needs. 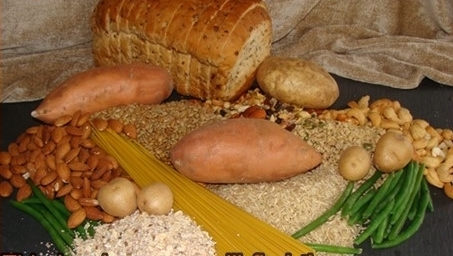 Carbohydrates: What Are They and Where Can I Find Them? In your weight lifting diet, carbs are the body’s primary source of energy or fuel. Without enough carbs energy levels deplete! Growth, strength and strength gains will cease, (like a car with no gas, you're not going far). The glycogen your body produces from carbs is generally stored in the muscles. If carb levels are too low, your body will automatically turn to and use protein as its energy alternative. This is something you don’t want! Robbing the protein rich building blocks your muscles need; undermines training efforts. Glucose: is the fuel that is used by the brain and nervous system supplied by the carbohydrates you ingest. 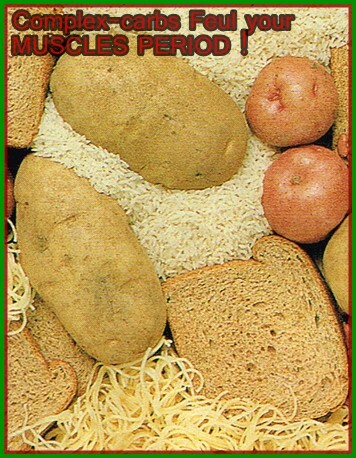 If you’re not receiving enough carbohydrate nourishment, this can drastically affect the brain with strong mood swings. Simple carbs: can come from different sources, such as: refined flours or sugars, meaning: candy, cookies, cakes, pie, pastry, etc. Simple carbs: can also come from simple sugars that occur in nutritious foods such as milk, fruit and some vegetables. If you’re going to ingest simple carbs, its better that they come in the form of (fructose), these are natural and healthier choices processed easier by the body. As I’m sure you already know, eating simple carbs from refined sources are full of calories, the problem with these calories are: they are empty in nutritional value. This big, but short-lived energy high you receive from these sources is also known as: (an insulin spike). Another problem associated to highly refined simple carbs are: (the additives and sugars in candy and pastry encourages (cravings), adding another process for you to deal with). Simply said; keep these food sources in your weight lifting diet to a minimum, they offer little nutritional benefits. 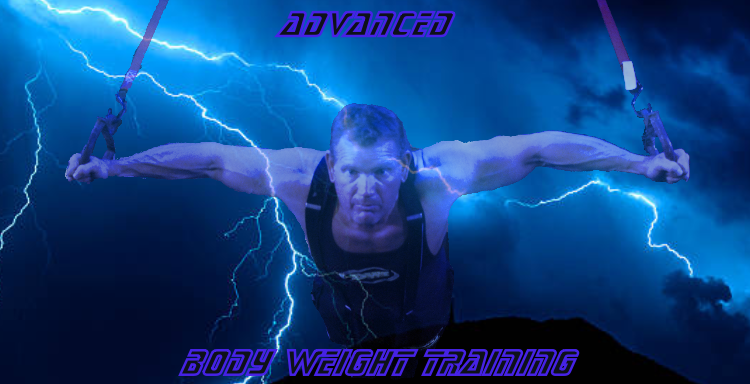 For more info on 'macronutrients' (weight training fat loss). Complex carbohydrates are a much better fuel source for your weight lifting diet. They take longer than simple carbs/sugars for the body to break down. Grains that are unrefined are loaded with valuable nutrients such as: vitamins, minerals and fiber. (These help the digestive system work well keeping you feeling full while helping with cravings of wanting to over eat). Once complex carbs have been ingested, the body immediately starts the process of breaking them down into simple sugars. Once this process is completed, the sugars are then absorbed into the bloodstream, as the sugar levels begin to rise in your body; the pancreas now releases the hormone called insulin. Your insulin transports the sugar from the blood into the cells where it is then used as a primary source of energy. The two main things; Complex carbohydrates offer is: a more efficient energy source, with a longer duration of sustainability. Yams, sweet potatoes and potatoes in general, baked not boiled. Carb sources should be higher in fibre looking at nutritional facts on labels should be identified as; approximately 5 g of fibre per healthy serving is considered as adequate. Fibre in a weight lifting diet helps to bind food for the digestive process while acting as a 'broom' for the colon, keeping it clean and working efficiently. The pie chart shown above, (near the top) of the page represents your plate for the most part, throughout each day. This is how important carbohydrates are in a daily diet. 50 to 60% of your meal should come from complex carbohydrates, 20-30% from solid protein sources and 10 to 15% from healthy fats. The healthy fats referred to in the weight lifting diet are the essential fatty acids (EFAs) or omega-3 fatty acids. The healthy fats to consume are the unsaturated type; these can be divided into (mono unsaturated and polyunsaturated fats). Unlike their saturated cousins, these fats are vital to life. Unsaturated fats are usually liquid at room temperature and used for metabolic processes such as transporting vitamins A, D, E and K.
These are responsible for maintaining cell membranes, such as; maintaining health and appearance of skin, eyes, hair, joint lubrication, lowering cholesterol levels while also serving as an source of energy. Biochemically; fats are a concentrated source of energy that contain 9 calories per gram versus that of 3 to 4 calories per gram of protein or carbohydrate. Fats can generally be divided into a number of different categories, for the most part; saturated and unsaturated are the two primary distinctions of (EFAs). As you can see there’s double the difference in the calorie density from protein and carbohydrates from that of fats. 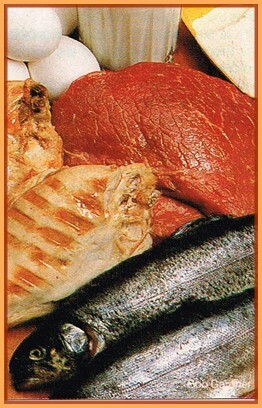 fish, such as: salmon, halibut sardines albacore herring, etc. Foods with lesser amounts of omega-3 fatty acids, shrimp, clams, cod, and tuna etc. Some of the better cooking oils high oleic sunflower oil, sesame oil and olive oil. Sunflower seeds, flax-seed, hemp-seed, peanuts, almonds and walnuts unsalted. These are just some of the foods that naturally carry healthy fats. 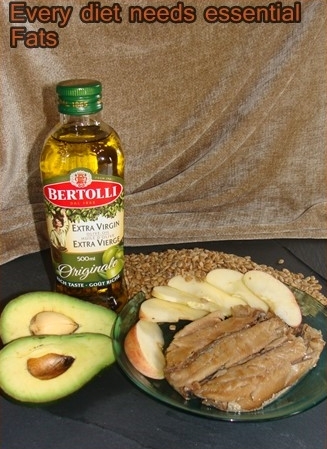 Having and ingesting these fats from these sources are healthy, over dosing on them is not. Try to Remember only 10 to 15% of essential fats are needed and should be introduced each day for your recommended daily intake. These are the fats that are classed as bad for you and should be avoided! This is a diet topic that the media and certain aspects of the health profession have over dramatized and popularized. This for some reason still to this day grabs people’s attention and still sells magazines and TV adds. This especially holds true to form when you have the word, (diet and fat) next to each other, in bold letters above a new diet strategy. The fats to avoid are: Saturated and Trans or hydrogenated fats. All saturated fats generally (congeal at room temperature), meaning: harden, and should be kept to an absolute minimum, Trans fats should be avoided entirely or altogether. This is a product of 20th century food processing, these fats rarely occur in nature and our bodies simply, don’t have the enzymes necessary to break them down. To give you an idea, an extra-large meat lover’s pizza has around 3,000 to 3,200 calories. This is enough calories from good food sources to last most of the day that would fuel you for a day's worth of vigorous activity. Take the time to read and understand labels in your weight lifting diet, look at it as a survival skill, that drastically reduces health risks. Learn and discern which fats are healthy and which are not to avoid the ones that aren't. Ingesting these highly processed, fatty foods in quantity over time, can have serious health consequences. Avoiding these as much as you can; helps the waistline and lessens visits to the doctor. Vitamins Are They Needed in a Weight Lifting Diet? These vitamins cannot be stored in the body to any great extent. They should be consumed in your diet on a regular or daily basis. Water-soluble vitamins importance rises considerably when the body becomes stressed, such as: illness, injury, intense exercise, or diseased. If none of these categories apply, a regular diet with verity for the most part, should provide you with enough vitamins. 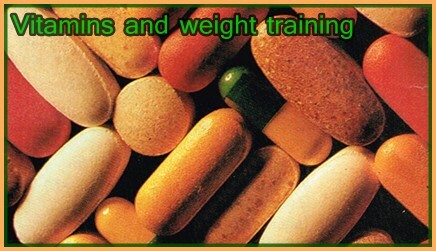 But if your training hard; a good vitamin supplement becomes necessary. These vitamins are named as such; simply because they dissolve in dietary fat. If excess amounts are consumed in your diet and not used immediately. These are stored as body fat, for later use. This storage can have consequences; some of the fat-soluble vitamins can be toxic to organs in your body. In particular: the liver, if you ingest excessive amounts. E.g., Studies have shown too much vitamin D has been linked to heart disease and kidney stones. Here are some of the more important ones from the vitamin family, which will add the greatest value to your weight lifting diet: listed in order of importance. Note: to see more info on vitamins and there functions see the, (top ten supplement review). I don’t want or expect you run out and buy all of these vitamins and begin taking them in mass quantities, simply to become bigger or stronger. Over dosing on vitamins and minerals can become expensive and inefficient. For weight lifters on a fixed or small budget good common sense should prevail, my own suggestions over the years of training and experimenting. Investing in a high potency B complex vitamin formula, the B-complex vitamins have a lot of importance in the cycle of muscle hypertrophy and metabolism speed; without B complex vitamins, it’s tough to make good gains in muscle mass, and/or strength. As a second essential supplement: you may want to purchase ascorbic acid or also commonly known as; vitamin C. This helps to keep the body detoxified and assists strength gains. As a final source you can introduce either all at once or throughout your day is ‘creatine’; specifically: pure creatine monohydrate, this is generally ground and processed differently and has a finer consistency, like that of icing sugar. 5 or 6 grams of pure creatine per day is generally enough for most hard training athletes. If you fail to hydrate yourself in one or two days at the outset; going without water is fatal. Water is the major component of every cell. This makes up two thirds or more of your body’s overall mass also forming most of the volume for your blood. 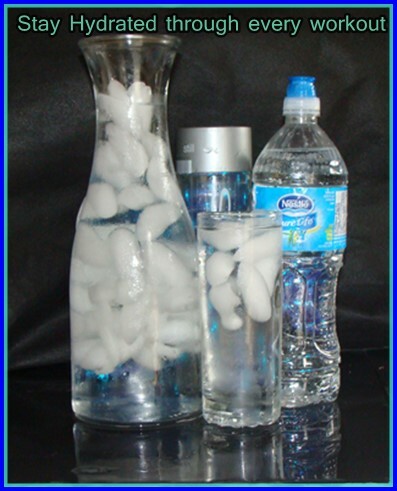 Water also serves in almost all chemical reactions for your digestion, regulating body heat and excreting body waste. Typically an average person will lose 1.5 to 2 L of water every day through simple waste excretion and sweating. Of course intense exercise only adds to the amount of water consumption you need. If you begin to feel thirsty while you’re working out, this is an indication to obviously drink water. But often this indication is coming too late, staying hydrated throughout your day and throughout your workout is paramount to life and training success. Instead of drinking just when you feel thirsty, hydrate regularly and try to remain this way through-out your day. The recommended amount of water each day is obviously going to fluctuate some; with age, gender, intensity of physical activity and of course the temperate fairness of your weather in your location. An average healthy active adult male: can consume approximately 13 cups or 3 liters per day. For a healthy adult active woman: approximately 9 cups, or 2.2 L of total beverage intake. The truth with your diet lies where most don't look? 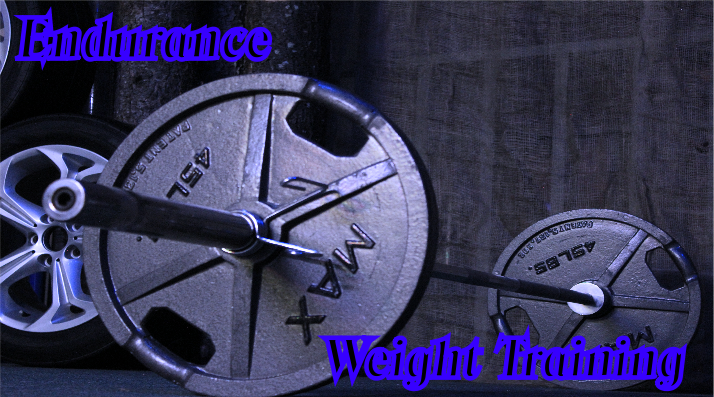 educate yourself, like you are here; keep your weight lifting diet simple. Add lots of verity, make it fun and interesting and you will grow, in size and strength. Regarding simplicity; our bodies biologically are much smarter than anything that is man-made that you’re going to ingest. Your body already knows how to process and metabolize vitamins, minerals calories in the natural molecular form they come in from everyday food. Don’t be fooled by what you’re reading or what others are telling you: most of the things we need, come from healthy foods you can purchase right in your own grocery store. If you’re preparing and eating your food properly at the right times, your success rate has nowhere to go - but up! All of us love flavor; If you can, use spices reduce salt, be creative and add very low-fat flavourings to the food you prepare. Add flavor without adding fat or calories. Life is full of choices, try to make the right ones when you reach for food. I hope that the weight lifting diet information has been helpful. This information is meant to be just that: information and for the most part has just been generalized. If you wish to change or alter anything in your life to do with fitness or diet, I would strongly suggest consulting with your doctor or health care physician first. And of course the best is wished to you in your weight lifting and diet goals. Be creative in the your kitchen and weight room and I promise you will see results.